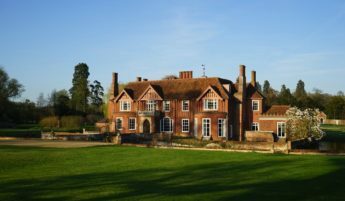 Norfolk and Suffolk are both easily accessible from London and the surrounding area; great for country house weekends away. Spend time with your family and friends in a large party house, enjoying yourselves in a large manor house. One of our most popular houses in Ringshall Grange (complete with moat), or if you prefer another moated option(!) see Boxted Hall which sleeps 26 people. There is plenty to do in the counties of Norfolk and Suffolk; whether the races at Newmarket or a visit to Norwich Cathedral. If you’re looking to get married without needing to fill a cathedral, many houses have churches nearby (or wedding licenses) that can host your big day.